The roots of the Moravian Church lay with the Czech brethren. Their community was founded in Kunvald in Bohemia in 1457 as an attempt to renew the Christian church according to the ideas of John Hus and Peter Chelcicky. The recognized the Holy Bible – God’s word – as the highest authority. In spite of long-lasting persecutions the Czech Brethren became an important cultural phenomenon in Bohemia and Moravia. The most famous Brethren of that period were Jan Blahoslav and bishop Jan Amos Comenius. During the violent re-catholisation process in Bohemia and Moravia after 1620 many of the Czech Brethren went to exile. The traditions of the Brethren nevertheless lived in the land in the communities of illegal Protestants known as „hidden seed“. In 1722 count Nicolas L. Zinzendorf accepted first group of (mainly) Moravian refugees on his manor in Germany. These refugees were keeping the traditions of Czech Brethren and founded on count Zinzendorf’s manor a settlement named Herrnhut. The village grew quickly larger and Zinzendorf managed to create in Herrnhut a true Christian community. Zinzendorf himself laid down the main features of the renewed Unity of Brethren – Moravian Church. During the next thirty years the Brethren expanded to other places in Germany, Netherlands, Denmark, England and North America. In 1732 the Moravian Church started a mission work on the West Indies islands, in Greenland and South America. Moravian Church returned to its fatherland in 1862 and in 1870 the first congregation was founded in Potstejn. 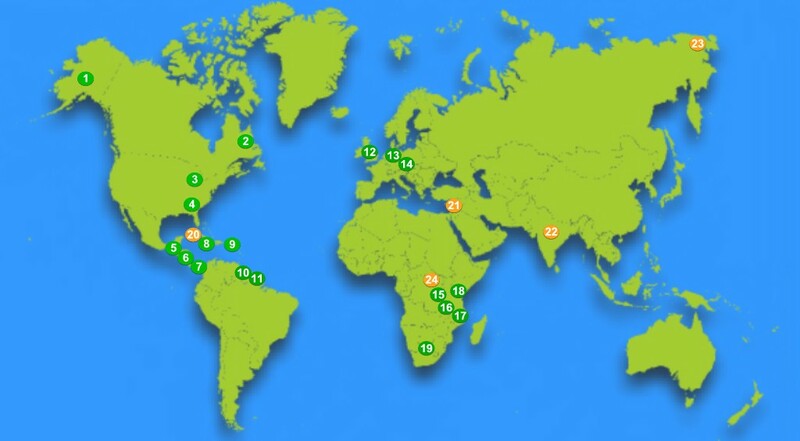 Nowadays the Moravian Church consists of nineteen provinces and develops further areas of its work (Unity undertakings, mission fields) scattered on four continents from Alaska to Tibet and from Labrador to South Africa. The Unity is bound by the Church Order of the Unitas Fratrum – a document approved by the Unity Synod, the highest legislative body of the Moravian Church.